Just What is "RollerCoaster Tycoon Classic"? The game itself is well known to many kids who grew up in the 1990s and the early 2000s, but we're going to give a little bit of an explanation to those who haven't played it. "RollerCoaster Tycoon" is a construction, strategy and management game that flourished in 1999, and is one of the more well known "Tycoon" games. In "RollerCoaster Tycoon Classic", you assume the role of the owner of a theme park, in control of everything from ride placement to to landscaping to staffing the park. 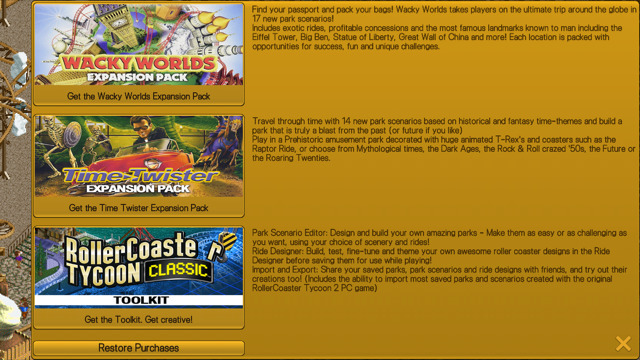 You can start a brand new park or choose to modify a few different existing scenarios. 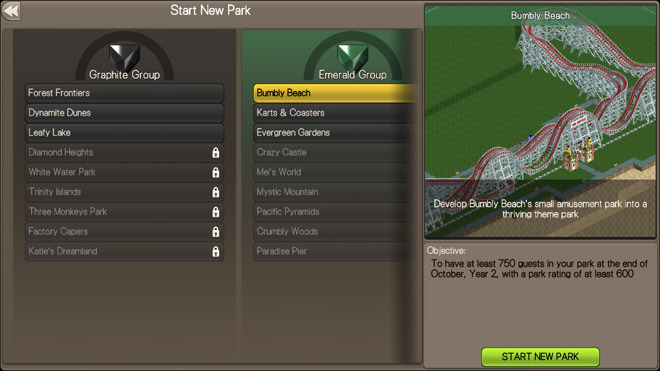 You'll place rides and food stalls, staff your park with mascots, janitors, security guards, and ride attendants. You'll monitor guest approval and attempt to pay back massive loans. It's great for people who love to be in games for the long run, as many scenarios often require fairly lengthy play sessions, and sandbox modes can be played indefinitely. If you played the original "RollerCoaster Tycoon," you'll see the game plays almost identical to the original version, and the switch to a touch interface doesn't hinder the gameplay in any way. We played the game on an iPhone 6s and thought the space of the screen was more than enough to enjoy the game fully, but have a hard time recommending it on a smaller screen. We think that a fair amount of people who may just find this game a little better than the original. It transfers over to a mobile platform so well, that that that we think the portability of this game coupled with the ease of building thanks to the touch interface makes this game edge out the original by just a bit. However, as a result of the pedigree of the port, zooming in can be incredibly pixellated. In the first attempt at migrating the series to iOS, "RollerCoaster Tycoon 4" was profoundly hampered by intrusive in-app purchases, alienated fans of the series, and for some reason still exists on the app store. Fortunately, RollerCoaster Tycoon Classic has no such problems. The new version isn't not quite "pay once, play forever" but is very close. You pay $5.99 for the base game and have the option to buy full expansion packs for $1.99 a pop. You can also purchase the toolkit that allows you to create your own scenarios and share them with other players to the tune of $5.99. This is far less annoying than traditional free-to-play inspired IAP, like in the first swing at the franchise on iOS, and we think it's entirely reasonable for what the developer is providing. Currently there's an issue with "Roller Coaster Tycoon Classic" in that after you finish one of the scenarios, the game crashes and cannot be reopened, even if you uninstall it and reinstall it. The problem stems from a poor implementation of iCloud backup. 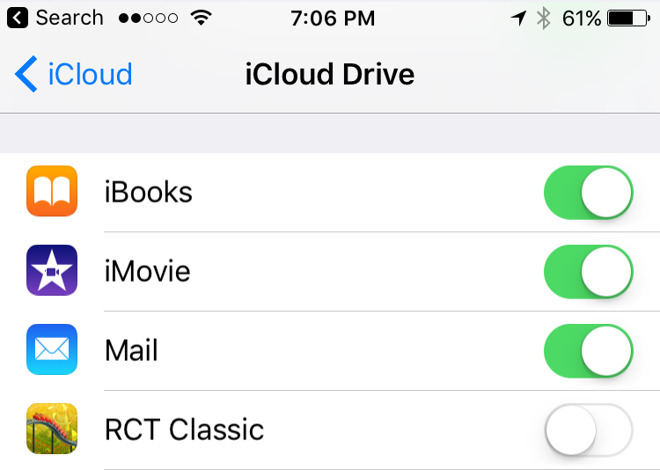 However, this can be turned off in settings by accessing iCloud Drive and then turning off the toggle next to RTC Classic. This will fix broken saved games as well as prevent the problem for those who haven't encountered it. We suggest watching patch notes in future updates to see when this issue is fixed, as you'll be able to save your game to iCloud Drive once it is. We don't think this game is for everyone, but there is a significant overlap between the management-strategy gamers crowd and the "nostalgic for games of the 1990s" crowd. However, is is just a solid play all around, and we're happy to see it make its way to iOS. It is not well suited for a mobile-oriented three minute play session, but if you're looking for something to really dive into, this is a good choice. If you played the original game growing up, or if you love the micro-management simulation genre, we think buying the base game isn't too much of a financial risk. 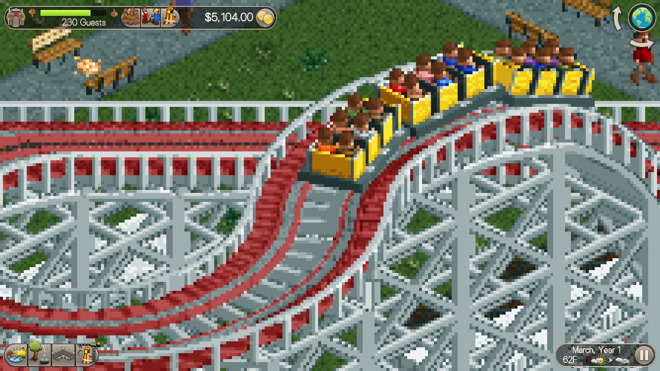 For a reasonable price of $5.99, you can score "Roller Coaster Tycoon Classic," but the blissfully optional in-app purchases can quickly add up.